We all love vaping! Seriously, who doesn't? Instead of having to constantly re-order the essential products you need to vape like a champ, we've introduced our new Autoship program to make sure you get what you want, when you want, with no hassle. In just a few easy steps, you can now enjoy convenient auto-deliveries directly to your home or office. Just pick the items you want and we'll automatically ship them to you, set your delivery preferences per item and sit back and enjoy as they arrive straight to you with utter convenience and ease. Adjust the frequency of delivery, quantity of items. Customize how you want it and when you want it. Convenience, piece of mind, savings, added freedom, less unexpected running out of important vape gear... the list goes on and on! 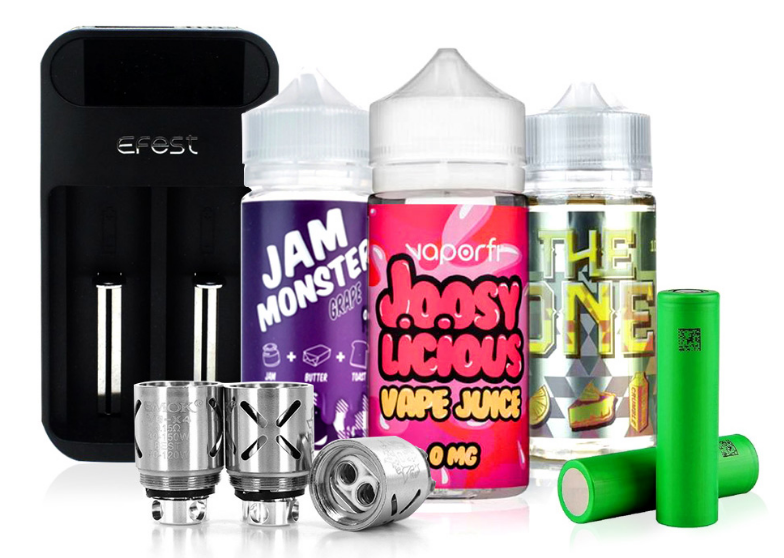 We know you're busy so by joining the Autoship program, the days of worrying about your juice running low, or waking up in cold sweats realizing you're down to your last coil are now a distant memory. There's no longer a need to manually place orders and you get to save 5% on the itmes you're going to purchase anyway. Best of all, you'll also get 10% off on your very first Autoship order. Save time, save money, and never run out of the products you need. It's a win-win-win situation! What kind of products qualify for Autoship? There are hundreds of products that are part of the program! E-Liquids, batteries, coils, wires, cotton and accessories, just to name a few. Not to mention, we're constantly adding more! So whatever it may be that you want auto-shipments of, chances are we've got it and you may be able to save on recurring shipments of it. Can I control my Autoship schedule or cancel anytime? You're the boss on this one! You set the timeframe and you can pause, cancel or modify any part of your schedule anytime you want. There will never be a charge to join Autoship and there will never, ever be any membership fees. You call the shots, and reap the benefits with regularly scheduled deliveries. FREE! For real! Domestic shipping is always free, with super-fast processing, rapid turnarounds, and often same-day shipping. This is another added perk we know goes a long way! Yes, of course! Although you won't receive free shipping, we ship International using premium carriers with the fastest and most economical service available. We want you to be thrilled when you shop with us. So even if you're not totally 100% unconditionally satisfied, our return policy is among the best in the vapor industry. Simply return your product within 15 days. All we ask is that the product is not used, and it's in the same condition you received it, and is in its original box or packaging. Im currently subscribed to Autoship but want my order shipped out tomorrow, what can I do? To change your delivery frequency, just give our Customer Service department a call and they'll take care of the rest. I paused or canceled my Autoship, can I sign up again? Absolutely! Since you were already signed up at one point you'll still get 5% on future Autoship orders. We offer multiple ways to get in touch with us, and you could definitely say we're customer service fanatics because your satisfaction is always our goal! Our agents are available 24 hours a day, 7 days a week. Check out our customer service page for all the details on how to get in touch.